The Syringe Heater is a temperature control system used to maintain reservoir fluid above the ambient temperature. It is normally used with higher viscosity fluids such as thick gels, hot-melt glues, and damming materials. Heat lowers the viscosity of fluid, making the dispensing process more efficient. The syringe heater has an insulated chamber with an integrated copper core in contact with the syringe to uniformly distribute heat up to 90 degree Celsius. For factories with temperature variations throughout the day, the closed-loop temperature control of the syringe heater helps stabilize fluid temperature. The syringe heater works with any of our dispense pumps; the outside plastic elements can be customized to fit the pumps. In addition, our servo controller includes closed-loop temperature control for the syringe heater and a body heater, simplifying integration. Syringes sizes 10cc, 30cc, and 55cc can be accommodated. Use the syringe heater in conjunction with a pump body heater to keep fluid temperature above ambient and assure exceptional dispensing process results. 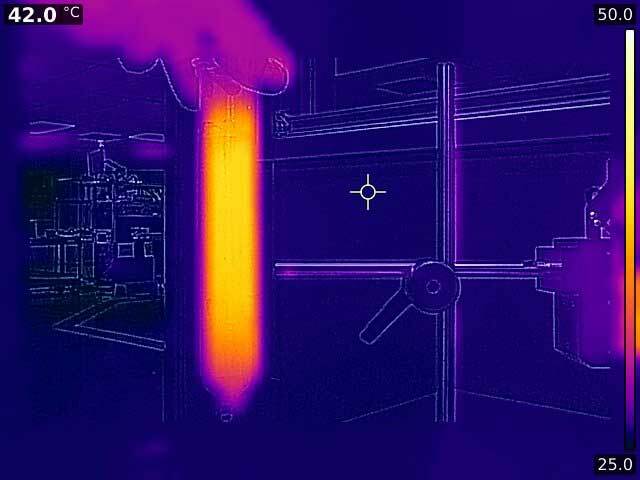 Thermal profile of heated syringe. 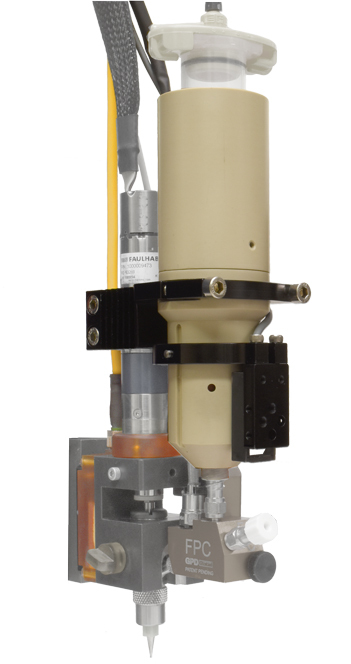 The optional heated pump body is available for most of our dispense pumps. A body heater helps stabilize fluid viscosity - especially high viscosity fluids - thus improving dispense results for heated applications. Pump body heating is available up to 130° C. The cartridge assembly is machined from copper for uniform heat distribution. A syringe heater is available for dense fluids that may require extra heating time. This reservoir heater is compatible with most GPD Global dispense pumps.